Thierry Baudet, the leader of the far-right Dutch Forum for Democracy (FvD) considers women as inferior beings. Alarm warning after the provincial elections of March 20 in the Netherlands. The coalition government known as the Third Rutte cabinet seems to risk to lose the majority in the Senate. The winner of the elections is a new far-right party that emerged as a concurrent to the Europe of Nations and Freedom (ENF) Group member Party for Freedom (PVV). Forum for Democracy it is expected to win up to 12 seats. The vote began in the Netherlands on Wednesday, just two days after the shooting attack in Utrecht. According to many analysts the atmosphere created was determinant boosting the far right. The role the provincial elections in the Netherlands will play in the election of the 75-seat Senate next May is instrumental since the 570 representatives of the 12 Dutch provinces will elect the Senate members. In fact three out of four coalition parties lose a considerable part of their supporters: the Christian Democratic Appeal (CDA) will drop from 12 seats to 8 and Democrats 66 (D66) from 10 to 7. Only the conservative Christian Union (CU) could win one more seat (from 3 to 4). That means the coalition parties will not reach a majority in the next Senate since their seats will drop from 38 to 30-31. It is interesting that the far-right party of Geert Wilders, although a member of the main hard line group in Europe and an ally of Marine Le Pen, loses as well. Its seats will drop from 9 to 6. However if we count the far-right votes together we find that there is a net growth of anti-Muslim and anti-immigration sentiment in the Netherlands. The Dutch Forum for Democracy (FvD) was founded by a controversial young man, Thierry Baudet, in 2016. Baudet who has called himself “the most important intellectual of the Netherlands” is well known for his nationalist, anti-Muslim and anti-immigration ideas. A fervent opponent to multiculturalism, he considers women as inferior beings. 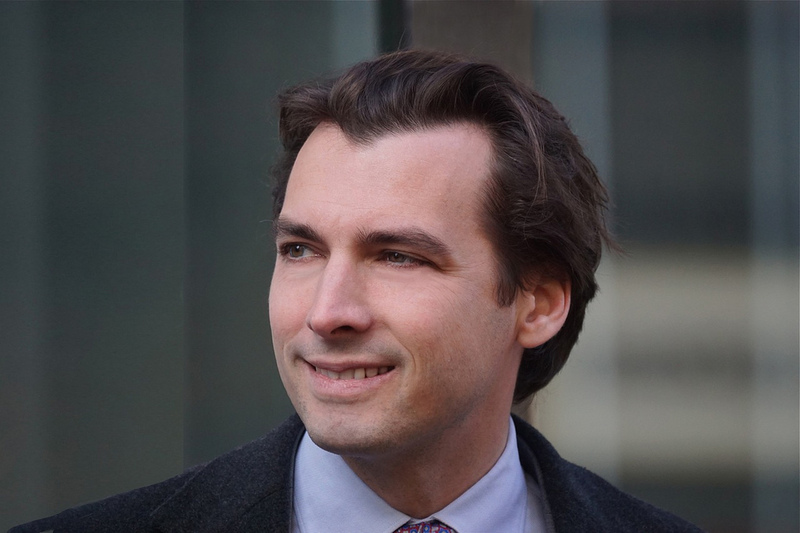 Following the attack in Utrecht while other parties had suspended campaigning, Baudet’s party continued its electoral campaign searching to take the maximum political gain. The party used the Utrecht attack to shore up support for its far-right platforms. “You can tell what’s going on anyway,” Baudet told a rally. “This is a combination of an honor killing and a half-terrorist motive,” reports Deutsche Welle. “Successive Rutte governments have left our borders wide open, letting in hundreds of thousands of people with cultures completely different to ours,” said in another occasion reports AFP. The rise of FvD is spectacular. A few months after its founding it participated in 2017 general election successfully, winning two seats in the House of Representatives. The party combines libertarian views in the economy with ultra conservative proposals in social and labour topics. FvD will join the European Conservatives and Reformists Group in the European Parliament after the EU elections in May. Although the results of the provincial elections are against the coalition government the Prime Minister Mark Rutte said he will not step down. That means he will have to search more partners in order to pass legislation. GroenLinks (Green Left) emerges as such a partner since it doubled its seats from four to eight. The results will certainly influence European elections in May.